Receive your bank statements securely & conveniently. Helps reduce consumer paper waste. 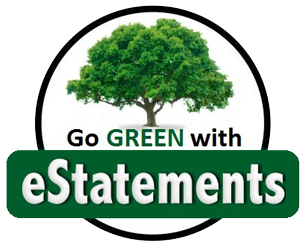 Log into your Online Banking Account now to get started with eStatements!